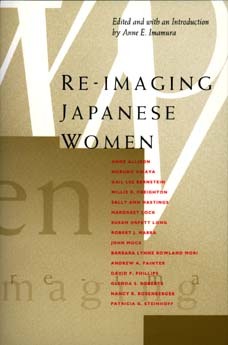 Re-Imaging Japanese Women takes a revealing look at women whose voices have only recently begun to be heard in Japanese society: politicians, practitioners of traditional arts, writers, radicals, wives, mothers, bar hostesses, department store and blue-collar workers. This unique collection of essays gives a broad, interdisciplinary view of contemporary Japanese women while challenging readers to see the development of Japanese women's lives against the backdrop of domestic and global change. These essays provide a "second generation" analysis of roles, issues and social change. The collection brings up to date the work begun in Gail Lee Bernstein's Recreating Japanese Women, 1600-1945 (California, 1991), exploring disparities between the current range of images of Japanese women and the reality behind the choices women make. Anne E. Imamura is Chair of Asian Studies at the United States Department of State Foreign Service Institute.